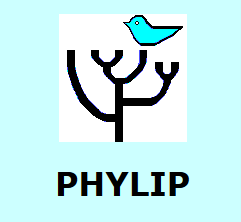 Phylogenetic Tools for Comparative Biology: Rphylip now on CRAN! Rphylip, an R interface for J. Felsenstein's PHYLIP phylogeny methods program package, is now on CRAN. Rphylip is a collaborative project with Scott Chamberlain at Simon Fraser University. Although I did most of the programming of Rphylip, Scott wrote some of the initial interface code that helped me to get started on the project, he has helped to debug the package, he has contributed some of the example datasets, and he is co-authoring the program note that we are presently preparing for journal submission. Rphylip now contains interface functions for close to 90% of the programs of the PHYLIP package. In almost every case, all or nearly all of the functionality of the PHYLIP programs are transferred to the R user. The Rphylip functions, like PHYLIP itself, cover an enormous range of applications - from phylogeny inference, to distance matrix calculation, to phylogenetic comparative methods. In every case, we have done our best to preserve all the functionality of the PHYLIP programs while allowing them to be integrated seamlessly into an R workflow. Rphylip also contains a number of helper functions which both broaden the functionality of PHYLIP (albeit slightly), and allow it to be more easily used. For instance, the user does not necessarily need to supply the path to the PHYLIP executable. If a path is not supplied, then Rphylip will search common locations for the PHYLIP executables (such as in C:\Program Files\ on a Windows machine. Rphylip even includes a function (setupOSX) that automates the somewhat complicated procedure of installing PHYLIP to a Mac OS X computer. Of course, before Rphylip can be used, PHYLIP must first be installed. Furthermore, any use of Rphylip in publication should automatically trigger a citation of PHYLIP (as well as relevant references for the particular method employed). This release of Rphylip in advance of submitting our program note for publication should be considered highly beta. We welcome any feedback on the package or its use. At the moment of writing, only the package source and Mac OS binary are available. I expect that a Windows package binary should be posted soon. Finally (oops!) I accidentally misentered the package name in the R package DESCRIPTION file which is responsible for the double ("Rphylip: Rphylip: .....") package header on CRAN. I'm aware of this & it will be fixed in future releases.